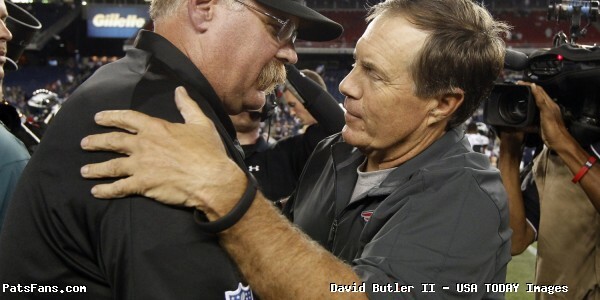 With the news that the Buffalo Bills declined to match the New England offer, Bill Belichick got his man. After missing out on a few free agents that the team kicked the tires on, WR Chris Hogan joins the Patriots as their newest wide receiver. Hogan is a great fit for the Patriots offense. He’s versatile, fast, agile with good size, he can play anywhere on the receiver tree and be a more productive member of the offense here than he ever was in Buffalo. Hogan, the Patriots newest WR has a great work ethic and built-in chip on his shoulder that drives him which will resonate very well with the quarterback he’ll now have to work with and gain his trust. Every year the Bills would either draft or bring in players to replace him and this current offseason was no exception. GM Doug Whaley declared wide receiver as a big need for the team. Then he listed five players that should compete for the #2 WR slot including Patriots castoffs Leonard Hankerson and Greg Salas without mentioning the guy who caught 77 passes the past two seasons. Did those words burn into him and motivate him to be even better? Every offseason Hogan wakes up at 4 a.m. to drive an hour from his Long Island home to his “Freak Strength” gym in New Jersey. Tough, Durable: He injured his wrist last year, and played thru the pain, causing him to have more than his fair share of drops before having surgery this offseason to correct it and it should be completely healed by now. But he’s tough, and hasn’t missed a game in three years and isn’t afraid to go in those dangerous places across the middle of the field. He’s a willing and able blocker. He can take the punishment that goes along with working in dangerous places as well as dish some out as well. Challenges with the system: Hogan played with three different quarterbacks in three seasons with the Bills. Now he’ll have to learn the detailed Patriots offense and route tree and earn the trust of Tom Brady. Those are the two biggest obstacles facing him. The first learning the offense and route tree are what causes so many WRs in this offense to fail. The Patriots want versatile guys, players who can line up anywhere, they’re not concerned with a player’s designation be it “X”, “Z” or the slot. In the Patriots offense you’ll be expected to play all over and depending upon opponents and/or matchups, so Hogan could be in the slot or outside in the “X”. Running the routes and adjusting to the play after the snap is key. Brady reads the pre-snap look of the defense better than anyone and the receivers have to recognize what he sees and run the correct route and be in the place where Brady expects them to be. Julian Edelman and Rob Gronkowski have mastered this and that’s why the three are always on the same page as Brady. Wes Welker, Randy Moss and Deion Branch were the others who were able to get in sync with Brady on Day1. Those will be the challenges facing Hogan. Many have failed before him but the Patriots have supposedly been impressed with his football I.Q. Where will he line up: So most people think that his signing means the end of Danny Amendola’s tenure in New England…while that may end up being true, don’t be too quick to wave goodbye to Amendola just yet. Hogan is thought of as a slot receiver but lined up there just 56 percent of the time according to Pro Football Focus (PFF). He lined up all over for the Bills and expect much of the same if not more with the Patriots. 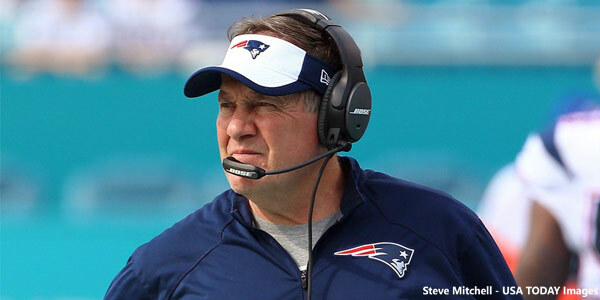 Belichick loves versatile football players and he more than fits the bill. He’s bigger than the average slot guy at 6’1, 220-pounds so when the slot corner presents a sizable match advantage, look for him there. But his speed on the outside is underrated, he’s got decent wheels (4.47 in the 40), and can be used as an outside deep receiver as well. Against the Titans last year, he caught a 46-yard bomb from Tyrod Taylor, which set the Bills up for the game-winning touchdown late in the 4th quarter. Which happened to be a touchdown pass from Taylor to Hogan out of the left slot. In the same series, Hogan threw a left-handed pass to Taylor that gained four yards…there’s your versatility. His footwork inside isn’t as quick as Edelman’s or possibly Amendola’s but it is still very good. In Week 2 he changed direction and caught a Taylor pass on a 2nd and 8 that gained 10 yards and set the Bills up with a first and goal from the three. He also beat Pat Chung in the slot during Week 11 for a big gain of 42 yards. He can also be pressed into service as a left-footed emergency punter as well in case anything happens to Ryan Allen during a game. Want more versatility? He was the gunner for the Bills’ STs units. While he may not have to do that with Matthew Slater, Brandon King already in place….again it is what you can do which will endear you to Belichick. And he’s willing. Expectations/Reality: What can we expect out of Hogan this season? Sometimes a guy can come in here after a solid career and find himself frozen out of Brady’s circle of trust. Can it happen to Hogan? Sure…but I don’t think it will. He’s young enough and more than hungry enough to do whatever it takes to become an integral part of the overall team. 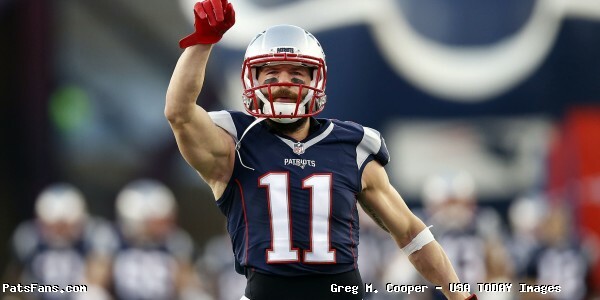 And he’s going to be the third target behind Edelman and Gronk. But sharing that responsibility with Amendola and Dion Lewis (if he’s healthy come September) should get him plenty of looks in this offense. His 36 catches, 450 yards, and 2 touchdowns should be easily surpassed with Brady under center in 2016. Remember this, when Brandon LaFell arrived in 2014, he too was supposed to be just a slot receiver and before his foot injury had a very solid season on the way to a Super Bowl victory. A bit of advice for Mr. Hogan, find out where in California where Brady, Edelman and Amendola are working out this spring, get a plane ticket and be the first one there. Building the trust factor begins now. This entry was posted in 2016 Free Agency, Patriots News and tagged 2016 Free Agency, 2016 NFL Free Agency, 2016 NFL off-season, 2016 Patriots Roster, 53 Man Roster Projection, Bill Belichick, Buffalo Bills, Chris Hogan, Danny Amendola, Julian Edelman, New England Patriots, NFL, Patriots, Patriots wide receivers, Rob Gronkowski, Tom Brady on March 12, 2016 by Steve Balestrieri. Bill Belichick may have a lacrosse catch playing partner this season. 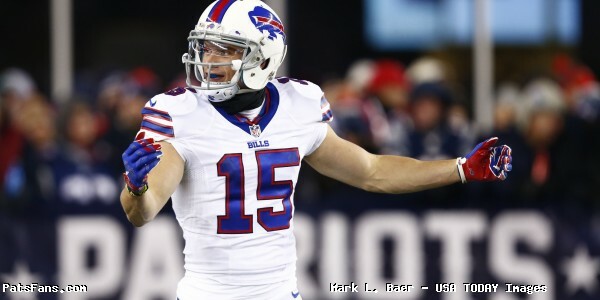 The Patriots have made it awfully tough for the Buffalo Bills to match the offer of a 3-year, $12 million-dollar contract for WR Chris Hogan and he’s reported to have signed his offer today according to Adam Schefter of ESPN. That would leave Buffalo five days to match the Patriots offer, but front-loaded with a $5.5 million cap hit in Year 1 will be very difficult for the Bills to counter. The Patriots obviously learned their lesson when giving Emanuel Sanders a low-ball offer in 2013 that the Steelers ultimately matched. Buffalo put the lowest RFA (restricted free agent) tender on Hogan at $1.67 million and have very little room under the cap. They’ll have to get very creative to save Hogan which would then beg the question, would they be doing it to save their player or to prevent him from going to their division rival Patriots? Hogan, 6’1, 220-pounds played primarily in the slot for Buffalo but is a fast (4.47-40), good sized receiver who can play inside or outside and he was praised by QB Tyrod Taylor for his ability to run precise routes and get out of his breaks extremely quickly. He’s only 27 and is very athletic (36” vertical, 6.74 3-Cone Drill); His football I.Q. is said to be very high, which is important when trying to master the Patriots difficult offense and route tree for wide receivers. He was nicknamed 7-11 during the HBO show “Hard Knocks” for his ability to always be open. He’ll join Julian Edelman, Rob Gronkowski, Danny Amendola (for now), Chris Harper, Keshawn Martin and Aaron Dobson in the Patriots passing game. The fast, athletic Hogan should be an immediate fit in the offense and at a minimum should become a very good complimentary piece. This entry was posted in 2016 Free Agency, Patriots News and tagged 2016 Free Agency, 2016 NFL Free Agency, 2016 NFL off-season, 2016 Patriots Roster, 53 Man Roster Projection, Aaron Dobson, Bill Belichick, Buffalo Bills, Chris Hogan, Danny Amendola, Julian Edelman, Keshawn Martin, New England Patriots, NFL, Patriots, Patriots wide receivers, Rob Gronkowski, Tom Brady on March 11, 2016 by Steve Balestrieri. The NFL’s much talked about three-day negotiating window leading into free agency opens on Monday, March 7 and remains an interesting topic and a source of debate. The basically farcical Legal Tampering Window begins on March 7 will continue until free agency begins on March 9 at 4 p.m. The NFL sent out a memo in 2013 when they first allowed this window of honeymooning free agents spelling out the parameters of what is and isn’t allowed during these negotiations. The league talked of shortening the window down from three days to just two, ostensibly to cut down on the amount of leaked information that is being learned about the contracts that are already signed, sealed and delivered prior to actual free agency beginning. But the official word was to allow better negotiations between agents and teams. The Dolphins six-year, $114 million-dollar deal with Ndamakong Suh was widely reported prior to free agency starting in 2015…and they weren’t the only ones. Which prompted the league to send out a memo to all the teams to stop the practice of making monetary pledges to players prior to free agency. “Any attempt to undermine the purpose of this negotiating period may be considered conduct detrimental to the League.’ At this time, the League office is beginning investigations into a number of reported agreements with clubs. Violations will be dealt with accordingly.” Uh huh. What does this mean for the Patriots? Not much. Their biggest free agent Akiem Hicks is set to test free agency and he’ll be sure to get some interest from several teams among them the Pats. Safety Nate Ebner isn’t expected to draw much interest, although players already released such as Brandon LaFell, Scott Chandler and Darius Fleming are free to sign with another team immediately. The Patriots will do their due diligence and interview a free agent or two but don’t expect to hear much about how those visits go. They are notoriously closed lipped about these things. This entry was posted in Patriots Commentary, Patriots News and tagged 2016 free agents, 2016 Legal tampering window, 2016 NFL Draft, 2016 NFL Free Agency, 2016 NFL off-season, Akiem Hicks, Brandon LaFell, Darius Fleming, Miami Dolphins, Nate Ebner, Ndamukong Suh, New England Patriots, NFL, Patriots, Scott Chandler on March 5, 2016 by Steve Balestrieri. The Patriots wasted little time after the NFL Combine in trimming the roster, the traditional time to do so, first informing Brian Tyms that he won’t be offered a Restricted Free Agent offer, then cutting WR Brandon LaFell and TE Scott Chandler on Wednesday. LaFell was in the third and final year of a deal that was to pay him $2.8 million. The Patriots will take a $1 million-dollar cap hit with his release. LaFell had a very successful 2014 season where he had over 1000 yards receiving combined in the regular season and playoffs. He had the game winning catch against the Ravens in the Divisional Playoff Game, and then had the opening score in Super Bowl XLIX. He suffered a foot injury that required surgery in the off-season and missed all of spring and summer workouts, and the loss of training camp time was crucial. His first game back against the Jets in Foxboro was a disaster, dropping six balls. It was a slow start that he never seemed to recover from. He finished with 37 catches for 515 yards and most importantly zero touchdowns on the season. He struggled all season and his frustration level in the playoffs rose after the win over Kansas City where he spoke very little after the win. The next week in Denver, he wasn’t targeted at all in the Patriots loss and the writing was on the wall. His release was somewhat of a surprise as his struggles seemed injury related, but the team must have felt that it time to move on. Chandler was released after reportedly failing his physical according to Mike Reiss of ESPN. He too was a major disappointment in 2015, after his signing last spring as a free agent. His release saves the Patriots $2.05 million and they will also carry a $1million-dollar cap hit on his contract. There was hopes that the Patriots would use the two-tight end offense with the big targets of Chandler and Rob Gronkowski this past season, giving QB Tom Brady two huge targets, especially in the red zone. After spending a lot of time working with the two in spring and summer workouts, the dual tight end threat never materialized. Chandler caught just 23 passes on 42 targets this season. He battled knee injuries down the stretch and it no doubt limited his effectiveness, but more production was expected. Tyms was the underdog everyone rooted for and seemed to have a roster spot nailed down in training camp before an injury derailed his season. Now the receiver position as we mentioned a month ago is even in a deeper state of need of an overhaul. With the contract situation of Danny Amendola still needing to be looked at, and his own roster position not a given yet, the need for youth, speed and size just got even more important. In our earlier piece we mentioned some free agents that could be of interest to the Patriots. Those may include Mohamed Sanu and/or Marvin Jones from Cincinnati, Rueben Randle from the Giants, Rishard Matthews from the Dolphins and Chris Hogan from the Bills. Brandon Gibson who was with the team in training camp before going on IR is a free agent and a candidate to return as well. A longshot case could be made for the Seahawks Jermaine Kearse who is only 25 but his price tag will probably be out of the Patriots price range. The team will most definitely need a secondary target behind Gronkowski at tight end now. The currently have him, blocker Michael Williams and converted QB A.J. Derby who was placed on IR last summer. There are a number of intriguing WR options for the Patriots that will be available in the NFL Draft that seem like they’d be good fits. Both Braxton Miller and Michael Thomas from Ohio State, Josh Doctson from TCU although he’ll probably be long gone before the Patriots pick at #60. One player who looks like he would be a great fit is Stanford’s Devon Cajuste. The 6’4, 234-pound wide receiver had little production in the Cardinal’s run-heavy offense but has great hands, is a willing, able blocker and ran a very impressive 6.49 in the 3-Cone Drill. We’ll have more on these prospects as we get closer to the draft but with these moves on Wednesday, the need for better depth at the receiver position for Brady and the Patriots offense just got a little more pressing. They undoubtedly will address the position in both free agency and the draft. They can use an influx of youth, size and speed for Brady’s targets to go along with their smaller quicker ones now. This entry was posted in Patriots Commentary, Patriots News and tagged 2016 free agents, 2016 NFL Combine, 2016 NFL off-season, 2016 Patriots Draft, 2016 Patriots Roster, 53 Man Roster Projection, Aaron Dobson, Brandon Gibson, Brandon LaFell, Braxton Miller, Brian Tyms, Danny Amendola, Devon Cajuste, Josh Boyce, Josh Doctson, Julian Edelman, Keshawn Martin, Michael Thomas, New England Patriots, NFL, Patriots, Patriots wide receivers, Rob Gronkowski, Tom Brady on March 3, 2016 by Steve Balestrieri. Tom Brady isn’t going anywhere folks and just signed a deal that should ensure that he will indeed retire a Patriot. According to Adam Schefter and Dianna Russini from ESPN, Brady and the Patriots signed a two-year extension that will have him in a Pats uniform thru the 2019 season. Brady was on the hook for the 2016 and 2017 seasons for $9 and $10 million-dollars respectively. His total cap hit for 2016 was to be a team high $15 million-dollars, a bargain in the NFL considering the dearth of quality QB play. This extension will undoubtedly lower his cap hit significantly this season. That’s important because according to our own @Patscap (Miguel), the Patriots only have $13.6 million in cap space. Expect this and other moves to start coming quickly. 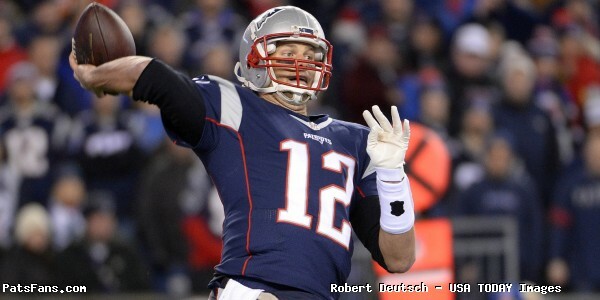 The Boston Herald’s Jeff Howe reported over the weekend that the Patriots had approached Brady about an extension. Brady who turns 39 in August will now have the chance to play until he’s 42. This will also no doubt help signing some quality depth free agents once the frenzy begins in mid-March. The Patriots will also try to open up some cap space by signing some of their core defensive players to long-term deals lowering their cap hits in 2016. Those include Dont’a Hightower, Jamie Collins and Chandler Jones. As soon as the news hit, rumors of the Patriots working a deal to trade backup QB Jimmy Garappolo were all over social media. As Ian Logue wrote this morning, with the NFL’s ridiculously playing out this Deflategate nonsense in court this month, it wouldn’t make sense to trade their backup …just in case Brady was still forced to serve a 4-game suspension. However, there is nothing to state that the team can’t field offers and listen to what other teams are willing to offer. Without a first round pick in this season’s NFL Draft, Garappolo could bring a high second round draft pick and help another team use their own first round pick on another position of need. One thing is for certain….the off-season is never boring around 1 Patriot Place. 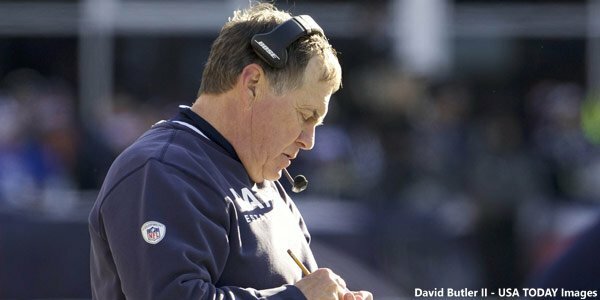 This entry was posted in Patriots Commentary, Patriots News and tagged 2015 Patriots Season, 2016 NFL Draft, 2016 NFL off-season, 2016 Patriots Roster, 53 Man Roster Projection, Bill Belichick, Brady contract extension, Chandler Jones, Dont'a Hightower, Jamie Collins, Jimmy Garoppolo, New England Patriots, NFL, Patriots, Tom Brady on February 29, 2016 by Steve Balestrieri. Good morning, here are Sunday’s Patriots news notes. NFL Owes Players $120 Million + Integrity of the Game? In what amounts to the league cooking their books, the NFL has been ordered to turn over to the Players’ Association more than $120 million into an account that handles money sharing with the players. With the return of the money, the cash went to the salary cap and now the limit is now raised league wide by $1.5 million. After seeing this unfold this week, one must wonder where the calls of the “integrity of the game” went. Patriots In “Early Talks” with LaGarrette Blount: The Boston Herald has reported that the Patriots want RB LaGarrette Blount to return. Blount injured his hip in December against the Texans and was placed on IR. The reports state that the negotiations are in the early stages and still have a long way to go. 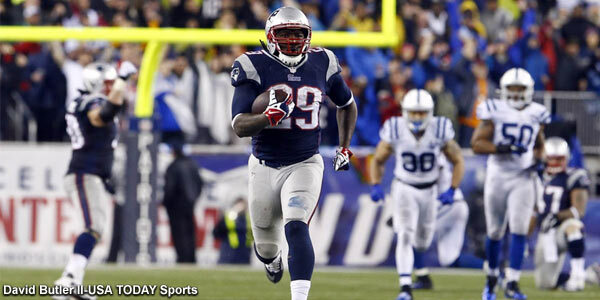 The Herald also reported that there is “mutual interest” in Blount returning. That wouldn’t be a surprise as outside of New England, there wouldn’t be much of a market for the 29-year old running back. Blount rushed for 703 yards on 165 carries, for a 4.3-yard average and scored six touchdowns. Many Patriots fans and media members have envisioned an overhaul at the big back position for the team, which could still happen regardless of whether Blount returns or not. One thing to keep in mind, after Blount went down, the Patriots went 2-3 down the stretch. Combine in Full Swing: The NFL Combine has been entertaining as it is every year and the NFL’s Network Mike Mayock as always does a fantastic job. While you may not agree with everything he says about these prospects, in the vast majority of the cases, he’s right on and has done his homework. 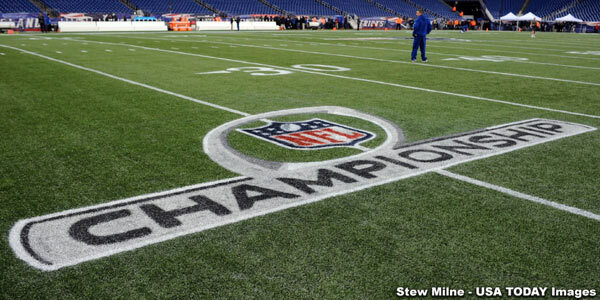 A couple of quick thoughts on the Combine, while it has been held in Indy for the past 30+ years, and is centrally located in the country, perhaps, like the NFL Draft, it is time for the Combine to make the rounds and visit other cities. 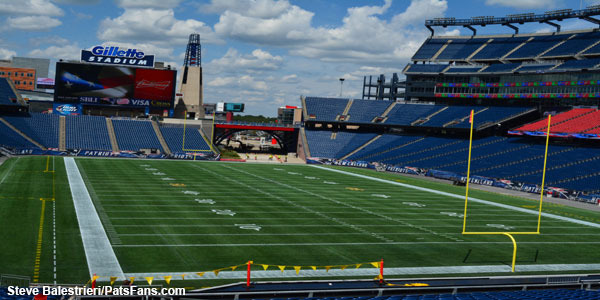 I would love for Boston to host the Combine one day, as I’m sure many cities would. The other, although I wrote earlier in the week that I believe the interviews and medicals to be of the utmost importance, the players’ performances on the field are always compelling, must-watch television. A couple of players that really seemed to help themselves the past two days were OT Jason Sprigs from Indiana, RB Kenyan Drake from Alabama, WR Will Fuller from Notre Dame and Braxton Miller, WR from Ohio State. Sprigs displayed some amazing footwork and moved effortlessly in the drills. His lateral movement was among the best on display. In the aftermath of the Super Bowl and the call everywhere for tackles in the draft, he definitely helped his own stock with that performance. Drake has largely been in the large shadow cast by Derrick Henry. But he had an excellent day running and doing the positional drills. He was impressive and helped his own draft stock. Fuller was a big play producer but came with to Indy with questions about his hands. On Saturday, he looked very sharp and was catching everything thrown his way during the WR drills. He also ran a blistering 4.32 in the 40-yard dash. Miller, a player that has been rumored to the Patriots didn’t light the world on fire with 40 time or his leaping ability but his lateral movement and agility were among the best. The 6’1, 201-pound WR turned excellent times in the short shuttle (4.07), 60-yard shuttle (10.84), and the all-important 3-Cone Drill (6.65). Some players who didn’t help their draft stock were RBs Alex Collins from Arkansas who didn’t run well and looked out of sorts in the passing game. Kelvin Taylor, RB from Florida and son of long-time Jaguars and Patriots running back Fred. He was very underwhelming overall and perhaps would have been better served to finish his last season of eligibility. One quarterback who really took a step back was Michigan State’s Connor Cook. He entered the Combine with questions about his arm and specifically his accuracy and his performance on Saturday did nothing to alleviate those. His throws were sailing high and wide and his ball placement was awful. DL/LBs to the Forefront Today: With the defensive linemen and linebackers doing their on-field testing today there are a couple of players that definitely bear watching from a Patriots perspective. Scooby Wright, 6’1, 245 from Arizona, the ILB had a great 2014 but his final season was a bit inconsistent due to injuries. That may cause him to drop a bit, which could be beneficial to the Patriots. He has a constant motor and a great work ethic but is considered only average athletically. He’s outstanding in the running game and a tackling machine. Terrance Smith from Florida State is another tackling machine inside but comes with some injury history so that may hurt his draft stock. The 6’3, 235-pound Smith is an athletic sideline-to-sideline linebacker who, if he can stay on the field, projects to be a big ILB that can really move. With his speed, he would be a great addition to sub-package pass coverage. Kyler Fackrell from Utah State is a big (6’5, 245) guy who can play outside and be a very disruptive presence on the edge. He’s a tackling machine who can be disruptive but holds up well in run support. He’s a guy to watch today. They rescue dogs that are either in a bad situation or from shelters that are about to put them down. Rescuing these animals, placing them in temporary foster homes and finding them a safe, happy permanent home is time consuming and takes money. On Saturday, March 6 at the New Bedford Home Show, he’ll be doing a fundraiser with Patriots Hall of Famer Steve Nelson who’ll be signing autographs for a small fee with all of the money going to Odie’s Place. They’ll also be raffling off a Nelson jersey that will be autographed by Nellie on site as well as taking some pictures with fans. Come down and support a great cause and talk some football with a Pats legend…BTW my own family recently adopted a two-year old English Bulldog from Odie’s Place and we are happy to have added her to our household. This entry was posted in Patriots 2016 NFL Draft, Patriots Commentary, Patriots News and tagged 2016 NFL Combine, 2016 NFL Draft, 2016 NFL off-season, Bill Belichick, LaGarrette Blount, New England Patriots, NFL, Patriots, Patriots edge rushers, Patriots linebackers, Patriots running backs, Patriots wide receivers, Tom Brady on February 28, 2016 by Steve Balestrieri. The Patriots are in Indianapolis for the 2016 NFL Combine, which is one of our favorite times of the year. And this event with all of the media coverage now is one of the “must-see” moments of the preseason. It is also one of the most overblown events as people will fawn all over a player who blows every event away in Lucas Stadium and proclaim that “so-and-so’s draft stock is plummeting” over a not-so-great performance in the Under Armor Olympics. It’s important to remember what it is…This is just the beginning for many of these players. Teams have compiled lists of players and watched the tape of them in their college football games. Now this will be coaches’ and GM’s first opportunity to meet with them face to face, and check them out medically and see what kind of young man each player is. The truly two most important aspects of the Combine? The interviews and the medicals and those are the two parts that all of us aren’t allowed to see. We’ll get to more of that in a second. But right now many of are thinking, “Are you crazy?” The on-field workouts are the most important thing. Think again. Better yet, listen to Bill Belichick speak about the preparation that players go thru for the combine from an interview last summer. While there is certainly a ton to be said about his comments, the Combine and the on-field workouts can help a fringe prospect out. Look at T.J. Moe, slot WR from Mizzou who was signed by the Pats before injuring an Achilles. He’s one of the more outspoken critics of the way the combine is conducted yet credits his time in the 3-Cone Drill as turning the Patriots heads. 40-Yard Dash: Measures straight line speed and is often the most overrated of the tests. It is a well-known fact that the Patriots value the 3-Cone Drill as much if not more than the others. Why? Because it is the most football-centric move of the ones tested. No other drill more closely mimics actual football moves than the 3-Cone. Players have to be able to sink their hips, change their direction and then explode back up to speed. For wide receivers and running backs, especially in the New England system that equates to running short routes, shaking off a defender, catching the ball, change direction again and get yards after the catch, (see Edelman, Julian). It is why the Patriots value that drill over say the 40 where a prospect is running in a straight line. Why the Interviews/Medicals are most important: Medicals are a must. Before a team invests a top round draft pick in a player, they want to make sure that they’re healthy. So their doctors will poke, prod and generally invade a prospect’s space for the examination. It is also a good time for checking out players who have had injuries and ensure that either they’re completely healthy or well on their way to recovery. The Patriots did a check like this on Rob Gronkowski in 2010. He missed his junior season for a back injury and surgery and their medical check satisfied them that he was indeed ready to go in the NFL. And finally believe it or not, the medical checks ensure the actual height and weight of prospects. Frequently colleges put out somewhat skewed information on players exaggerating their height and weight. This sorts it out. Interviews Are #1: The interview is many things to many teams but it is a chance for the first time to see what kind of man and player each team is getting. Some teams ask ridiculous questions that are head scratchers. LeCharles Bentley, former OL for the Saints and Browns recalled being asked “Are you a paperclip or a rock?” Rest assured Bill Belichick isn’t asking anything remotely close to that. But the interviews will tell you where a guy’s head is at. Is he a team player or is it all about him? Is football important to him or is he just cashing a paycheck. For New England, as Moe pointed out in his interview by Chris Price, the Patriots asked detailed questions about his overall knowledge of football. Moe recalls Pats WR coach Chad O’Shea drilling him questions about not only his responsibilities but other players on different down and yardage situations. The Pats are looking for football intelligent players. He then contrasted those questions to those of the Rams who he says barely touched on football questions. Noah Spence from E. Kentucky who is an edge rushing nightmare on the field was kicked off of Ohio State’s program for two drug violation suspensions. Ole Miss DE Robert Nkemdiche who was charged with marijuana possession after he fell out of a hotel window and suspended from his team’s bowl game. A player rumored to be on the Patriots radar, Rutgers WR Leonte Caroo was involved in an incident where he was accused of an assault but the charges were eventually dropped. After the situation involving a TE that shall not be named…the Pats will be leery of bringing in a guy with a lot of baggage. So while we’ll all watch riveted to how these players do in their on-field workouts, the Patriots will be watching too but their true work will be behind the scenes in the interview and examination rooms. That’s where the big questions get answered this week. Unless someone blows them away with a 3-Cone time…. This entry was posted in Patriots Commentary, Patriots News and tagged 2015 NFL Season, 2016 NFL Combine, 2016 NFL Draft, 2016 NFL off-season, 2016 Patriots Roster, Bill Belichick, Interviews, Julian Edelman, Medicals, New England Patriots, NFL, Patriots, Rob Gronkowski on February 24, 2016 by Steve Balestrieri.